This 0.1% aqueous bromothymol blue solution (also known as Bromthymol Blue) is a commonly used pH indicator. Bromthymol blue changes color over a pH range from 6.0 (yellow) to 7.6 (blue). 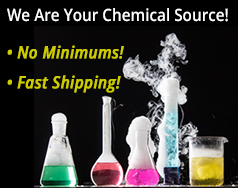 It is a good indicator of dissolved carbon dioxide (CO2) and other weakly acidic solutions. Despite its name, bromothymol blue solution may sometimes appear yellow or reddish depending on the pH of the stock water used to prepare this pH indicator solution. 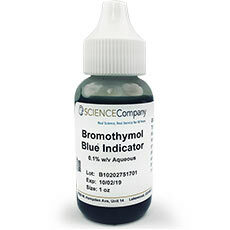 Low levels of carbon dioxide or acid in solution with bromothymol blue indicator will appear blue. As the level of carbon dioxide or acid increases, the solution will gradually take on a yellow tint. 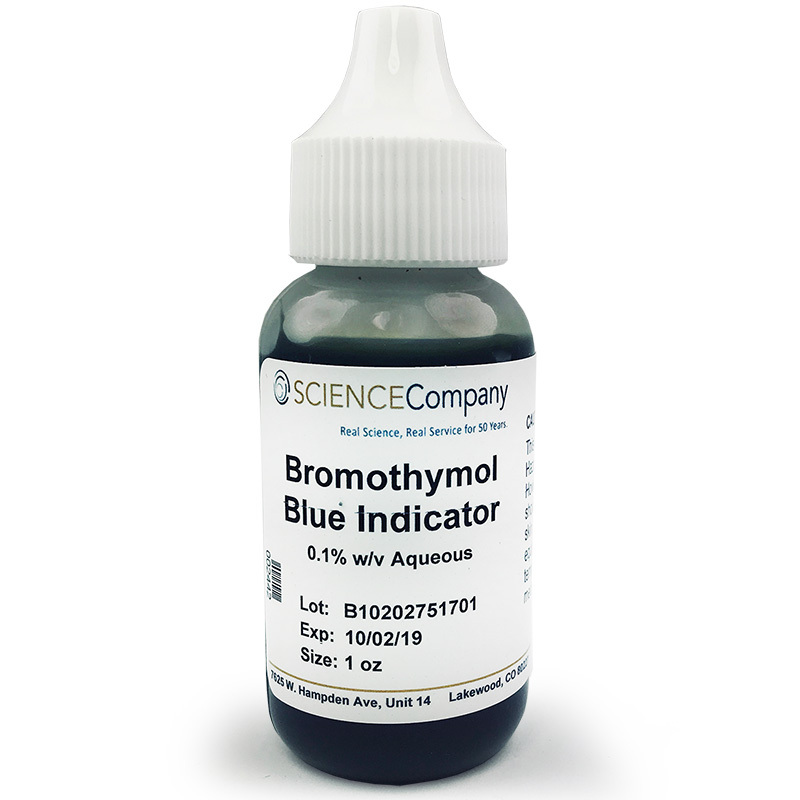 This makes bromothymol blue ideal for biology experiments to indicate photosynthetic activity (solution turns blue as plants use up carbon dioxide) or respiratory activity (solution turns yellow as carbon dioxide content increases).